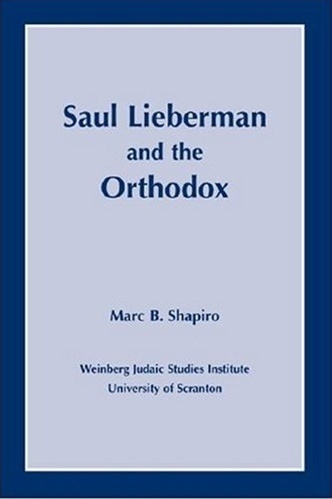 One of the foremost scholars of the Talmud in the last century, Saul Lieberman (1898–1993) is also an intriguing and controversial figure. Highly influential in Orthodox society, he left Israel in 1940 to accept an appointment at the Jewish Theological Seminary, a Conservative institution. During his forty years at the Seminary, Lieberman served in the Rabbinical Assembly as one of the most important arbiters of Jewish law, though his decisions were often too progressive to be recognized by the Orthodox. Marc B. Shapiro here considers Lieberman’s experiences to examine the conflict between Jewish Orthodoxy and Conservatism in the mid-1900s. This invaluable scholarly resource also includes a Hebrew appendix and previously unpublished letters from Lieberman.